Eight years ago, in February 2011, the Sucumbíos provincial court issued a historic ruling in the case known as Lago Agrio against the Chevron-Texaco oil company, sentencing it to pay 9.500 million dollars for polluting the Amazon during its operations there between 1964 and 1992. Since then, however, the Ecuadorian justice system has been unable to enforce the sentence. According to Pablo Fajardo, a lawyer working for UDAPT, "Chevron operated in the Ecuadorian Amazon with the aim of obtaining the largest possible economic return for the company". To achieve this goal, it used obsolete techniques and was fully aware of the pollution it was causing. 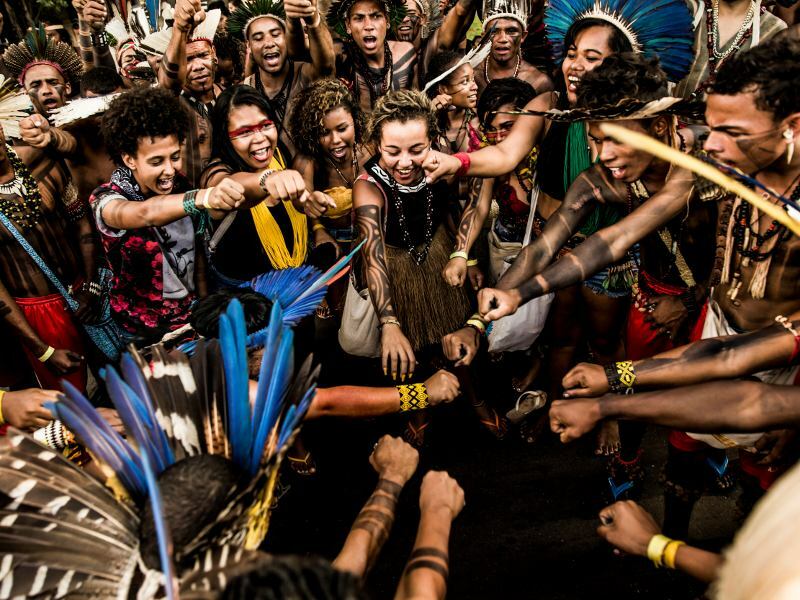 The UDAPT affirms that the company disposed of nearly 650.000 barrels of crude oil and more than 16 billion gallons of wastewater in the rivers and soils of the Amazonian jungle, affecting the health and lifestyles of more than 30.000 indigenous people and peasants in different communities. Other practices Chevron indulged in include open-air burning of gases and the spilling of oil onto roads – according to them, in order to prevent the raising of dust. The UDAPT lawyer points out that, up to now, at least "2.000 people have died from cancer due to toxins and polluted water and air". Justino Piaguaje, the president of the Siekopai Original Nation and a spokesperson for the UDAPT, explains that "finding oil was synonymous with wealth. It was thought that all of the country’s financial and social problems were going to get solved – but not so for the native peoples. The problem of pollution started, the rivers got polluted and our land shrank". To this end, it filed a lawsuit against Texaco in the US in 1993. However, at the request of the company, the suit was transferred to Ecuador and the hearings of what became known as the Lago Agrio case were held at the local Sucumbíos provincial court. Finally, on February 11, 2011, after a litigation that lasted nearly two decades, the Sucumbíos court ruled in favor of the UDAPT and sentenced Chevron-Texaco to pay a 9.5 billion dollar fine to compensate for the harm incurred. Chevron filed an appeal, but the ruling was ratified by all the judicial instances in Ecuador – including the National Court of Justice and the Constitutional Court, the highest court in the country. As Pablo Fajardo explains, the Constitutional Court’s ruling of July 2018 recognized that “many rights of indigenous peoples and peasants had been violated by the company", which is something that the UDAPT had been claiming all along – for over 18 years. According to Pablo Fajardo, Chevron's defense framework during the litigation involved some 2.000 lawyers from more than 60 legal firms and its defense expenses amounted to 250 million dollars per year. Despite all of this, the UDAPT won. "For reason is in our side", says Fajardo. The UDAPT points out that, throughout the process, Chevron carried out a number of actions to try and sabotage it – from political pressure to threatening international legal proceedings. This “strategy of fear” was adopted in order to isolate Ecuador from its international allies, and was reinforced by an aggressive media campaign to discredit the Ecuadorian courts and the UDAPT defense team. "According to Chevron, the indigenous people, the peasants and their lawyers had unlawfully associated themselves to extort money from the company. And the company took legal actions in that line. That is, the company pictured itself as the victim and the indigenous people and the peasants as the criminals", Fajardo explains. The UDAPT lawyer explains that when Chevron realized that the communities would continue to push their demand until the very end, it began to withdraw all its assets from the country. "The only thing it left behind was a bank account with 350 dollars in it and nothing else". Faced with the impossibility of enforcing the ruling in Ecuador, the UDAPT tried unsuccessfully to get other countries where Chevron owns assets that could be seized to ratify it – Argentina, Brazil, Canada and even the United States. But authorities in these countries rejected this possibility arguing, among other things, that the matter involved in fact different companies: "You cannot charge Chevron Argentina or Chevron Brasil with a debt incurred by Chevron Corporation, which is a different company", they said. The problem is that "Chevron Corporation does not own assets in its name almost anywhere in the world", says Fajardo. In his view, "the legal structure that these companies have been building through auxiliary enterprises and holding companies is simply a structure to evade their responsibility and, in this case, to evade justice" – which is undeniably an adverse scenario for the UDAPT. The company accused Ecuador of "denial of justice". Finally, on August 31, 2018, almost 10 years later, a CPA arbitration panel issued an award in favor of the company ordering Ecuador to annul the decision of the Sucumbíos court and ruling, in addition, that the Ecuadorian State should pay Chevron a compensation amount – still to be determined – for the alleged economic and moral damages that it had caused. Chevron had left the country in 1992. However, it came back in 1995 seeking an agreement that it finally got signed in 1998. 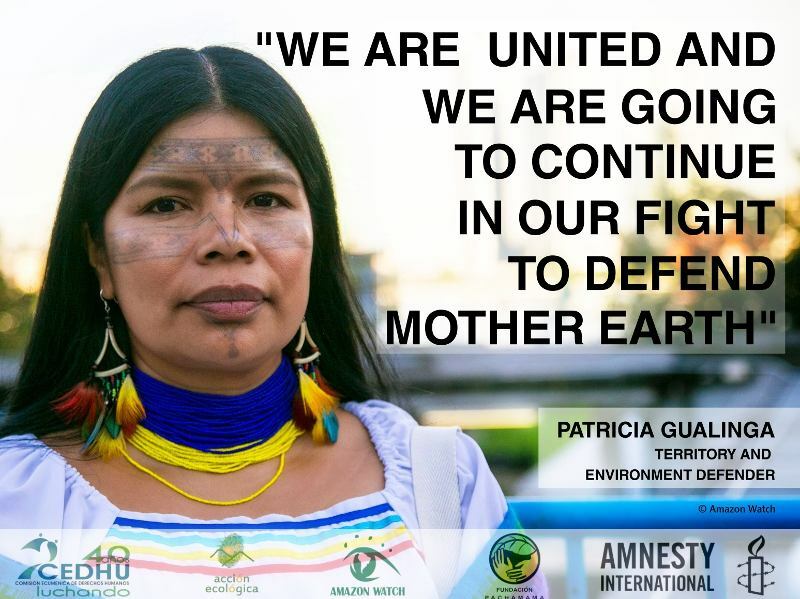 According to Adoración Guamán, an expert lawyer for the Campaign to Dismantle Corporate Power – an international coalition grouping more than 200 organizations – the government then and the company signed a "contract for the undertaking of environmental repair work and the freeing of obligations". 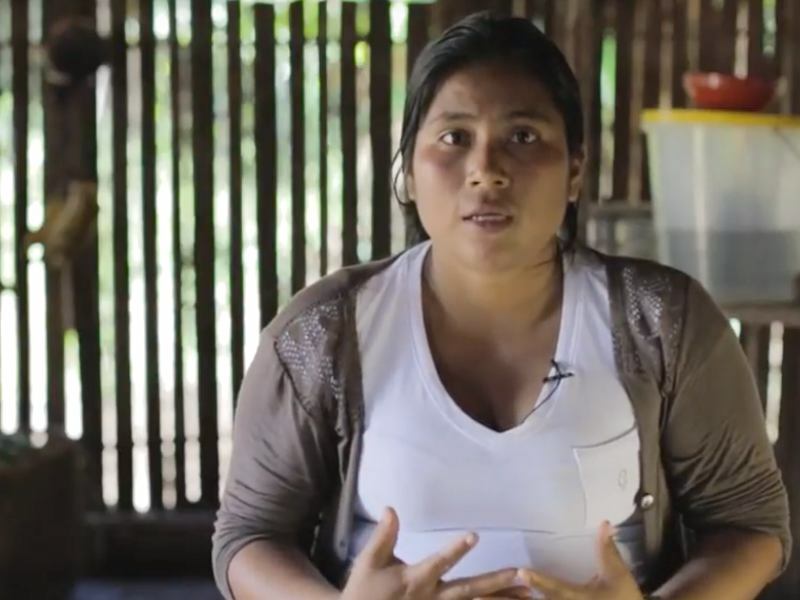 Adoración Guamán points out that Chevron's lawsuit kept on mutating as the lawsuit of the people affected in the Lago Agrio case followed its course and progressed. At the beginning, the company argued that the government of Ecuador, by allowing the UDAPT to take legal action, was in breach of the 1998 agreement – thereby incurring in denial of justice. But when the ruling in favor of those affected became known, the company changed its line of argument and "accused the victims of having bribed the judges responsible for the decision". The company claimed that there existed "a plot between the government and the victims to get compensation". Guamán says that "the arbitration panel considered that this had been proven" and, on this basis, it ordered Ecuador to annul the sentence and to take measures to prevent it from being executed in other parts of the world – and thus ordered the government of Ecuador to communicate to all the countries where Chevron owns assets that the "Ecuadorian judicial power had committed an illegality." Pablo Fajardo maintains that this is "tremendously arbitrary and illegal" and asks: "What is the point of a country’s law if legal decisions can be suspended by decisions of international authorities in processes which the citizens of this country do not have access to?" Chevron's lawsuit in the CPA was questioned from the very beginning by the UDAPT and its allies. In the first place, as Pablo Fajardo points out, because "the Bilateral Treaty of Investment Protection was applied retroactively – something that is illegal and illegitimate". He specifies that Chevron left the country in 1992 and that the BIT between Ecuador and the United States was signed in 1993 and only entered into force in 1997. Despite this, the CPA admitted the claim on the grounds that when Texaco went back to Ecuador in 1995 it supposedly carried out "repair activities which involved investments". Second, Fajardo notes, "the CPA panel has no competence, no legal capacity to order an independent and sovereign State to annul a final criminal sentence ordered by a court under Ecuador's legal system". What the CPA panel has done, in fact, is "ordering the Ecuadorian State to violate its own constitution, to break the separation of powers between the executive branch of government and the judiciary, and to get the Executive to interfere in judicial matters in order to have the sentence annulled". These are the reasons why the CPA award is, according to him, absolutely inapplicable. Hence, "the judgment of the Lago Agrio case cannot be annulled because there is no legal provision to do so, and therefore is fully valid", he says. Those affected say that the CPA award flagrantly violates their rights, because the 1998 BIT contract binds the government but not the UDAPT. In addition, they argue, the Lago Agrio case is a private trial, in which the government did not intervene – therefore, Fajardo points out, the CPA "is affecting the rights of third parties" in the trial. "It affects and violates the sovereignty of States, which is important as a legal precedent", says Fajardo, and he insists that "if this arbitration award is allowed to go ahead, it could be applied to other States, where national courts of justice will lose the capacity to administer justice before transnational corporations. So, what legal guarantee, if any, do the victims of corporate crimes have? None whatsoever. Economic power is being imposed and companies are buying impunity", he concludes. At the same time, it shows how multinational corporations are using the international investment protection mechanism to undermine the sovereignty of countries and challenge the decisions of national courts of justice. 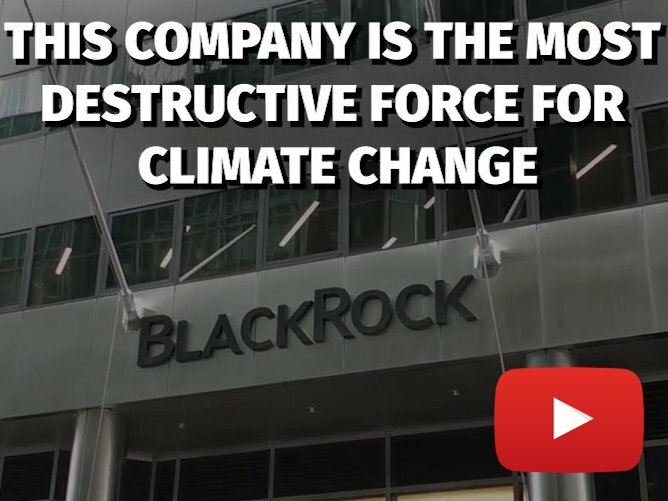 The global investment system imposes corporate profit over and above respect for human rights and the environment. As Adoración Guamán says, we do need an instrument to change this state of affairs and "give primacy to human rights over trade and investment norms". Experts also question the lack of effectiveness of human rights systems to enforce their mandates. While multinational corporations benefit from international mechanisms to protect investments which are mandatory, compliance with mandates for the protection of human rights and the environment tend to be voluntary or lack the necessary mechanisms to enforce them. "There is a huge legal vacuum here and a binding treaty is absolutely necessary", says Fajardo. The Campaign has denounced the Chevron case, stating that "three private arbitrators, responding to commercial interests, are throwing out of the window a just claim and undoing 20 years of work by a broad set of plaintiffs". It declares that the arbitration system "establishes a commercial law which sets as its priority the protection of capital profits over the right to life". Adoración Guamán says that the Chevron case has become the banner of the fight for a Binding Treaty. 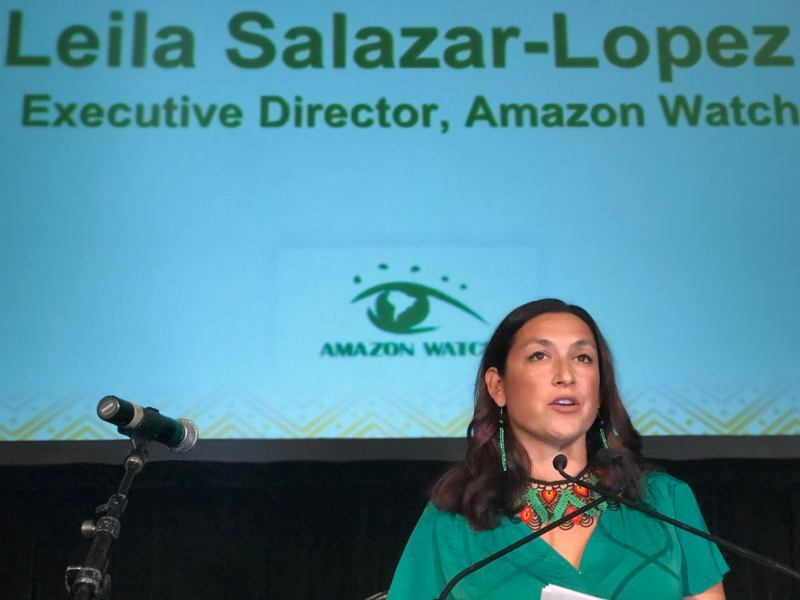 She warns that as long as multinational corporations like Chevron are not afraid of justice and do not see an effective mechanism in place that can put them on trial, sentence them and force them to pay "they will not respect human rights". "To Chevron, it is a matter of money and prestige. To the people affected, it is a matter of life", says Fajardo. What Chevron did "was no accident. It was an intentional crime committed during 26 consecutive years". However, despite all the evidence and a due process with a final sentence against it, Chevron is not paying for its crimes. "Justice as such does not exist, especially when the criminal is a transnational corporation and the victims are indigenous peoples, peasants, or nature", he says. 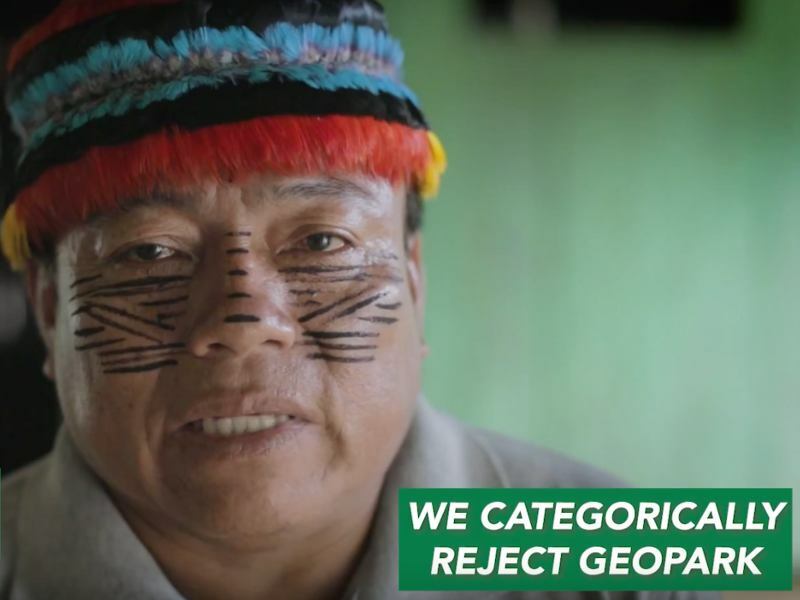 He insists that the UDAPT will continue to seek justice with the aim not only of getting Chevron to repair the damage it has caused in the Ecuadorian Amazon but, more importantly, of "setting a precedent, so that this type of crime will not be repeated in any other place in the world".